Abstract color lines background. 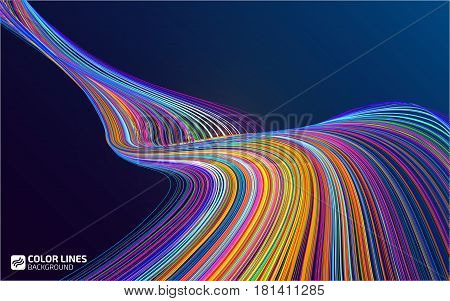 Moving colorful lines of abstract background. Moving color waves. Design elements for card, website, presentation. Abstract creative disco backdrop template.